Plaintiffs in the lawsuit against TEPCO and the government gather in front of the Fukushima District Court in Fukushima on Nov 27. FUKUSHIMA–Dismayed at a breakdown in talks for compensation, residents of the disaster-stricken town of Namie filed a lawsuit against Tokyo Electric Power Co. and the central government for damages stemming from the nuclear accident here in March 2011. The plaintiffs are seeking 1.3 billion yen ($11.4 million) in financial redress. The entire town was evacuated in the aftermath of a triple core meltdown at TEPCO’s Fukushima No. 1 nuclear power plant triggered by the Great East Japan Earthquake and ensuing tsunami. The lawsuit was filed at the Fukushima District Court on Nov. 27 after five years of negotiations between the town and TEPCO collapsed in April over the utility’s refusal to meet demands for more compensation. According to court papers, 109 plaintiffs of 49 households are seeking 12.1 million yen in individual compensation. They stated that the nuclear accident destroyed their community and forced them to live as evacuees for a prolonged period. TEPCO, under guidelines established by the central government, has been paying 100,000 yen a month to each resident forced to evacuate. However, town officials argued that the figure was painfully low and should be increased to compensate for psychological suffering caused by the disaster. In May 2013, the Namie municipal authorities, acting on behalf of residents, asked the nuclear damage claim dispute resolution center, an organization established by the central government in response to the Fukushima disaster, to mediate in the dispute. About 15,000 residents, more than 70 percent of the town’s population, signed a petition for the mediation in an alternative dispute resolution (ADR) process at the center. In March of 2014, an ADR proposal called for the monthly compensation to be uniformly increased by 50,000 yen. The town accepted the offer but TEPCO rejected it, citing potential unfairness to others who had been compensated. In April, the center discontinued the reconciliation process. Pointing out that TEPCO had reneged on its promise to “respect ADR reconciliation proposals,” the plaintiffs argued that the utility should pay for betraying the trust of residents. An additional 2,000 or so townsfolk are planning to join the lawsuit. Not only were the lives of residents turned upside down by the nuclear disaster, but more than 180 perished in the tsunami that engulfed the town. Although the evacuation order was lifted for some parts of the town at the end of March 2017, entry to most of the area remains prohibited. TAIPEI – Taiwan and Japan will hold annual trade talks in Taipei this week, coming after a weekend referendum in the former that could have a negative impact on bilateral relations. Sources familiar with the two-day talks from Thursday say that both sides are planning to sign at least six agreements or memorandums of understanding. They will cover a wide range of areas, including cooperation in management of medical equipment and materials, joint research by young researchers, and the mutual support and advancement of cooperation between small and medium-size businesses. On Saturday, a majority of Taiwanese voted in favor of maintaining a ban on food imports from five Japanese prefectures that was imposed after the 2011 Fukushima nuclear disaster. Taiwan’s representative to Japan, Frank Hsieh, earlier warned that if the referendum were approved, Taiwan would have a “grave price” to pay. That “grave price” could include Taiwan’s bid to join a Japan-led trade pact, the Comprehensive and Progressive Agreement for Trans-Pacific Partnership. Taiwan has expressed its desire to participate in the second-round of accession talks on numerous occasions. Taiwan has also been seeking to sign a full-fledged free trade agreement with Japan. However, the ban on the imports of Japanese food products has stalled negotiations on the trade pact. Despite the absence of diplomatic ties, which were severed in 1972, the unofficial relationship between Taiwan and Japan has remained robust. Japan is Taiwan’s third-largest trading partner after China, including Hong Kong, while Taiwan is Japan’s fourth-largest trading partner. Bilateral trade totaled $62.7 billion last year, up about 4 percent from the previous year. Japanese investment in Taiwan last year also increased more than 84 percent from the previous year to $649 million. Elementary school pupils in Iwaki, Fukushima Prefecture, watch drone footage of their hometown of Futaba, which they are not permitted to enter due to high levels of radiation, and talk to local officials there via a satellite hookup. Children living as evacuees are glued to images shot by a drone of their hometown of Futaba during a special presentation at their temporary campus in Iwaki, Fukushima Prefecture, on Nov. 26. The children learn about decontamination work under way in Futaba via a satellite hookup during a field trip class held in Iwaki, Fukushima Prefecture, 80 kilometers away from the hometown they were forced to abandon after the 2011 nuclear disaster. IWAKI, Fukushima Prefecture–With barely no recollections of growing up in Futaba, a town rendered uninhabitable by the 2011 nuclear disaster, 11 young evacuees had a “homecoming” of sorts on Nov. 26. The children, fourth- to sixth-graders at two public elementary schools who currently study at a temporary campus in Iwaki, 80 kilometers south of Futaba, attended a special 45-minute presentation in a school gym to watch drone footage of the area where they were born. A satellite feed allowed the pupils to talk to local officials about efforts to decontaminate the once-bustling community. Futaba was transformed into a ghost town by the triple meltdown at the Fukushima No. 1 nuclear power plant triggered by the earthquake and tsunami disaster. High radiation levels mean that entry still remains restricted. The children watched aerial footage of scenic spots shot by drones on three 70-inch monitors. Beautiful images of beaches and mountains in fall colors caused them to lean forward and express amazement. The children fell silent when eerie images appeared of the wrecked nuclear plant. Ninety-six percent of Futaba, a town that co-hosts the stricken nuclear facility, is located in a difficult-to-return zone because of high radiation levels and remains uninhabited. Adults must receive permission to enter the area, but children under the age of 15 are not allowed access. The children were aged between 2 and 4 when they left, and have not set foot in Futaba since then. Prior to the disaster, Futaba had two elementary schools with 309 pupils. In spring 2014, the town opened a temporary school facility in Iwaki, a coastal city to where many Futaba residents evacuated, but the number of pupils dropped to 31. The “homecoming” was the school’s first attempt to give the children an opportunity to ponder the tragedy that befell their hometown, according to a school official. Plutonium and radiocaesium are hazardous contaminants released by the Fukushima Daiichi nuclear power plant (FDNPP) disaster and their distribution in the environment requires careful characterisation using isotopic information. Comprehensive spatial survey of 134Cs and 137Cs has been conducted on a regular basis since the accident, but the dataset for 135Cs/137Cs atom ratios and trace isotopic analysis of Pu remains limited because of analytical challenges. We have developed a combined chemical procedure to separate Pu and Cs for isotopic analysis of environmental samples from contaminated catchments. Ultra-trace analyses reveal a FDNPP Pu signature in environmental samples, some from further afield than previously reported. For two samples, we attribute the dominant source of Pu to Reactor Unit 3. We review the mechanisms responsible for an emergent spatial pattern in 134,135Cs/137Cs in areas northwest (high 134Cs/137Cs, low 135Cs/137Cs) and southwest (low 134Cs/137Cs, high 135Cs/137Cs) of FDNPP. Several samples exhibit consistent 134,135Cs/137Cs values that are significantly different from those deposited on plant specimens collected in previous works. A complex spatial pattern of Pu and Cs isotopic signature is apparent. To confidently attribute the sources of mixed fallout material, future studies must focus on analysis of individual FDNPP-derived particles. Isoscapes of 134, 135, 137Cs and 239, 240Pu for part of the Fukushima prefecture surrounding FDNPP. The green marker is used to highlight an anomalous 240Pu/239Pu atom ratio of 0.64. R1, R2 and R3 correspond to ORIGEN estimated isotope ratio values for Reactor Units 1, 2 and 3, respectively27. SW indicates the mean value for the Cs isotope ratios measured to the southwest of FDNPP by Snow et al.19. 240Pu/239Pu atom ratio for Northern Hemisphere integrated global fallout is denoted by NHF28. November 18, 2018 this person drove by the crippled Fukushima Daiichi Power Plant. His Geiger counter showed 4.1 micro Sv/h. Please send this info to any Olympic athletes you know in the world. Tokyo will never be safe but will be ready for 2020 Olympic Games, by sacrificing everyone’s health and global environment for a handful people’s wealth. FUKUSHIMA (Kyodo) — Farmers and fishermen in Fukushima called for further efforts to convince the public that their food is safe to eat on Sunday after Taiwan decided to maintain its import ban on Japanese food from areas affected by the 2011 nuclear disaster. Taiwan’s public voted in a referendum Saturday to maintain the ban on agricultural products and other food from Fukushima and four other prefectures. “All we can do is to work harder until people understand that our products are safe,” said Masao Koizumi, a rice farmer in Fukushima. The prefectural government of Fukushima has been conducting radiation checks on all rice produced in the prefecture. Since 2015, all shipments cleared the screening, with radioactive cesium levels below the 100-becquerel-per-kilogram limit set by the central government. 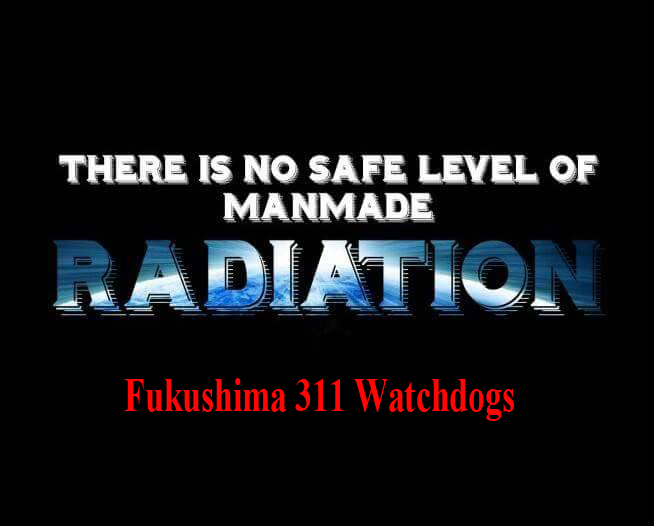 “When people see the inspection readings, they will know that there is no threat of radioactive materials,” Koizumi said. TOKYO: Olympics chief Thomas Bach said Saturday (Nov 24) he was impressed at the “great progress” made in the reconstruction of Fukushima, in a visit to the region devastated by the 2011 tsunami and nuclear disaster. Amid hopes that hosting events will help revive the region, International Olympic Committee President Bach visited a stadium set to hold baseball and softball matches during the Tokyo 2020 Olympics. During his visit, he told Japanese Prime Minister Shinzo Abe that he was “very much impressed” by the “great progress”.